I love analog photography. The process of moving from a negative to a silver gelatin print still inspires me. I enjoy checking my negatives, selecting the image I want to enlarge and putting it through the enlarger and into the developer. The one important aspect of film photography that kills me is the making of a contact sheet. Making one is vital to the image selction process, however, in the darkroom, this is a long process. In order for a contact sheet to be of use you need to be able to see how well exposed the photos are. This means that you need to ensure you have a "black" which is as black as the paper can make. In the darkroom this means loading the negatives in a carrier (or placing them directly on top of the photo paper and putting a glass on top), and then make a test strip. This then tells you how long you need to expose for in order to get a "true black". Then you finally make the contact print. Here is the issue, I cant use the contact sheet until it is dry. The photos will look darker than they really are. 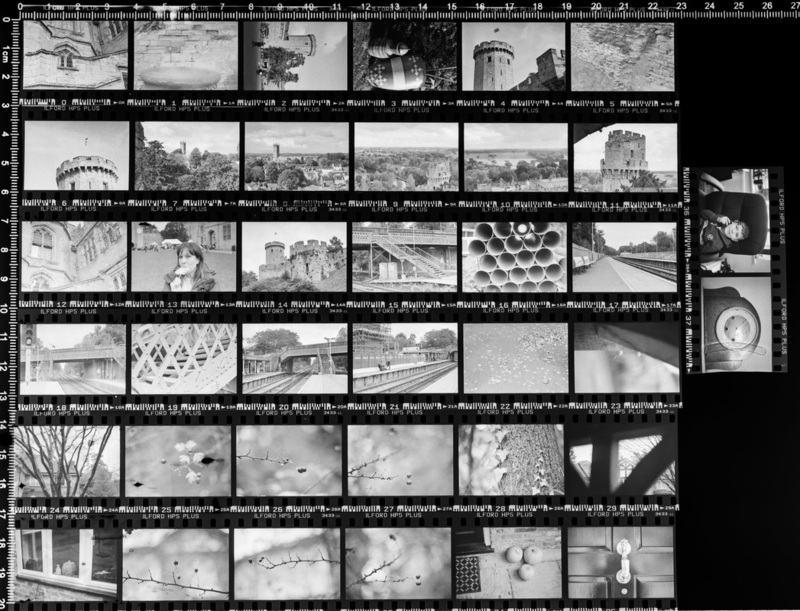 While I love my darkroom time, making contact sheets is not rewarding, wastes material and is usually just a dread. 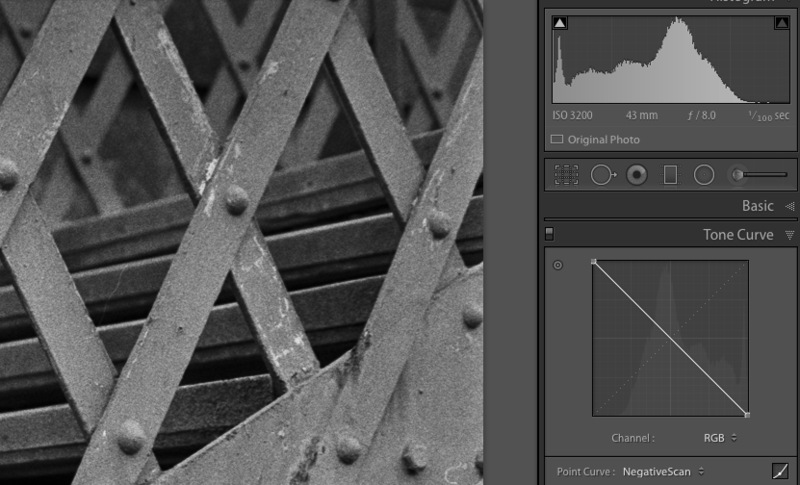 Another option is to scan the images and make a contact sheet in Lightroom. This requires a scan of each negative that again takes about 30 minutes to do a roll. Boring, slow and again not fun. The fastest method for making a contact sheet that I have found, is the use of a tracing table (light table). I lay out the negatives and snap a digital picture. 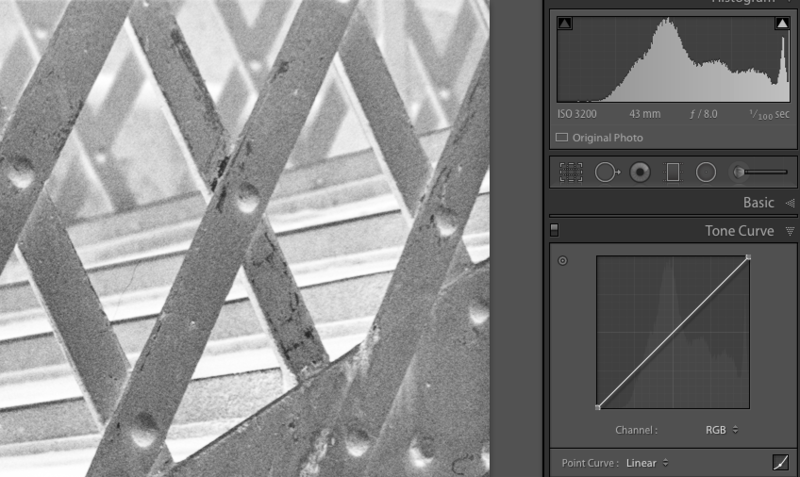 I import it into Lightroom and invert the tone curve. This changes my negatives to positives. I can then print this as a single photo and viola, contact sheet is made. This does not save me from making a test strip, but only to make the images I wish to print. This is a quick and simple way to make a contact sheet however the amount of black will eat up print cartridges. I print mine on regular paper using non-phot ink to save some money. I also print smaller as I do not need the full size print.